NSE Breadth Indicators Its interesting to look into the breadth indicators as the market reached newer highs and even tested the 6000 mark breadth indicators are throwing contradictory signals against the trend. I guess this is AD for nifty index. 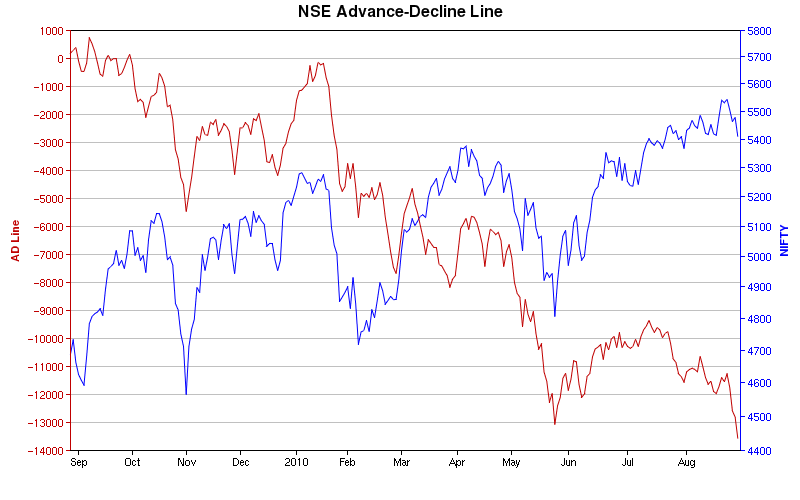 Can you also look at AD for the broader market and what that is saying or how it looks ? @Pm Its not the AD for Nifty Index… Its for the Broader Market! Only Few Stocks are inching up.